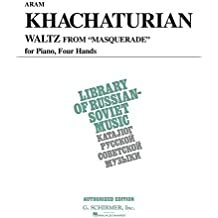 Masquerade Waltz - Khachaturian 1 part • 8 pages • 04:43 • 2 years • 9,792 views Piano Masquerade Waltz for solo piano. Clunky arrangement chopped up from duos/orchestral scores, bit of a mess but still fun. Midnight Mystery 1 part • 1 page • 00:48 • 1 year • 189 views Piano A piece inspired by Aram Khachaturian's Waltz from Masquerade. Hope you enjoy! Mimi valse G. Schirmer Waltzes (Piano) Gardener, Cyril J.
Waltz from Masquerade Suite Piano (Piano) Piano Solo . Composed by Aram Ilyich Khachaturian (1903-1978). Piano. Hal Leonard #ZN911502. Published by Hal Leonard (HL.50490005). 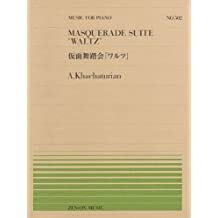 Waltz from Masquerade (VAAP Edition) Piano, 1 Piano, 4 Hands Piano Duet . Composed by Aram Ilyich Khachaturian (1903-1978). Piano Duet. G. Schirmer #ED3314. Published by G. Schirmer (HL.50335730). 20th Century Classics 1 Piano, 4 Hands Volume 1 . Composed by Various. Edited by Roger Brison. BH Piano. 48 pages. Boosey & Hawkes #M060084782. Published by Boosey & Hawkes (HL.48011211). 16 Waltzes, Op.39 (Brahms, Johannes) - IMSLP/Petrucci ... ⇒ 14 more: 2. Waltz in E major • 3. 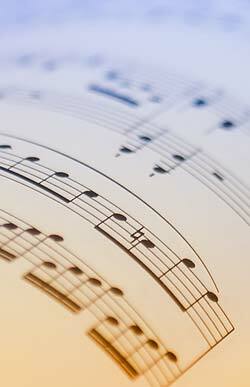 Waltz in G♯ minor • 4. Waltz in E minor • 5. Waltz in E major • 6. Waltz in C♯ major • 7. Waltz in C♯ minor • 8.